Fraser is an experienced sailing coach who has been involved with the sport for 12 years, having served as a high-performance dinghy coach for the past 5. Having moved from Victoria BC this past summer, Fraser has taken up the position of Sailing Manager at KYC while also holding the position of Head Coach of the Royal Military College Sailing Team. Within the next few years Fraser hopes to be developing more high-performance sailors, with the eventual goal of coaching for the Canadian Olympic team. William is going into his final year at Queen’s majoring in Geography and Geographic Information Science. He has been sailing for eleven years and is currently a member of the Queen’s Sailing Team. He has taught sailing on Lake Champlain in Vermont and on the Hudson River in New York for the past four years. When William is not out on the water, you can find him on the slopes. His goals over the course of this summer are teaching as many people the sport of sailing and exploring the city of Kingston from the water! There will be a maximum of 3 sailors to be enrolled in each session to ensure a good sailor to coach ratio (a minimum of 2 students is needed for the course to be confirmed). This enables quick sailor learning and progression through meaningful coach feedback. Weekend (4 days, with one back up weekend day scheduled on the Saturday after the last session in case of poor weather) from 10am to 5pm (with 1 hour for lunch). Sign up is on a first in, first served basis. Payment must be received in full to complete the registration for your session. All sailors receive a one month tempopary membership to KYC so that they can enjoy the fine dining expirence that KYC has to offer. 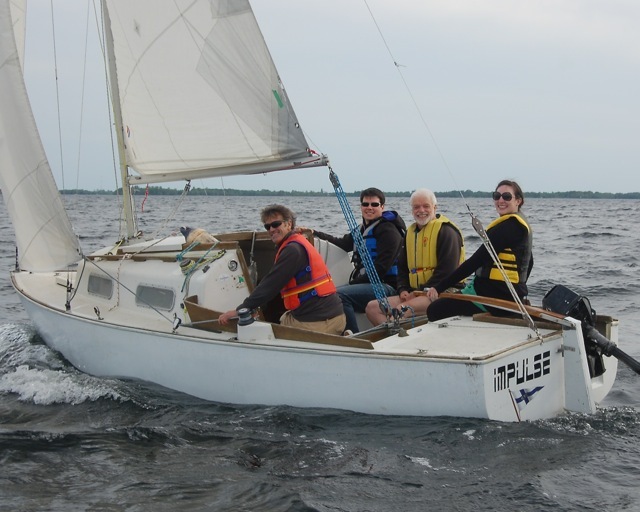 Several of our members volunteer to offer a Mentoring Program on our Community Club boats for members who wish to further develop their sailing skills. If you have any questions, feel free to email (sailingmanager@kingstonyachtclub.com) or give Sailing Manager Fraser Smith a call (613-548-3052). All registrations are subject to our Terms and Conditions which you will agree to during the checkout process.